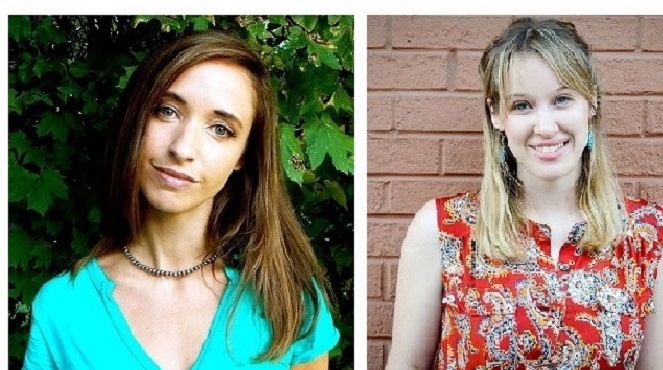 Join Madisonites Chloe Krug Benjamin and Kara Candito for readings from their new books. Benjamin will read from her first novel, The Anatomy of Dreams, forthcoming from Simon & Schuster (September 2014). Candito will read from her second collection of poetry, Spectator (May 2014), winner of the 2013 Agha Shahid Ali Poetry Prize. Copies of Spectator will be available for purchase at the event. Kara Candito is the author of Taste of Cherry, winner of the Prairie Schooner Book Prize in Poetry and Spectator, winner of the Agha Shahid Ali Poetry Prize. Her work has been published in such journals as The Kenyon Review, Gulf Coast, The Rumpus, Indiana Review, and AGNI. A recipient of scholarships and awards from the Bread Loaf Writers’ Conference, the MacDowell Colony, the Council for Wisconsin Writers, and the Santa Fe Arts Institute, Candito is a creative writing professor at the University of Wisconsin, Platteville and a co-curator of the Monsters of Poetry reading series in Madison, WI. Chloe Krug Benjamin is a graduate of Vassar College and the MFA in fiction at UW-Madison. Her first novel, The Anatomy of Dreams, will be published by Simon & Schuster this September. Other fiction, poetry and reviews have been published in PANK, Ninth Letter, The Washington Independent Review of Books, and elsewhere. This is a Wisconsin Book Festival event.